The source from which the Inuit and Yupik people of Alaska drew their cultural inspirations has long vexed researchers. 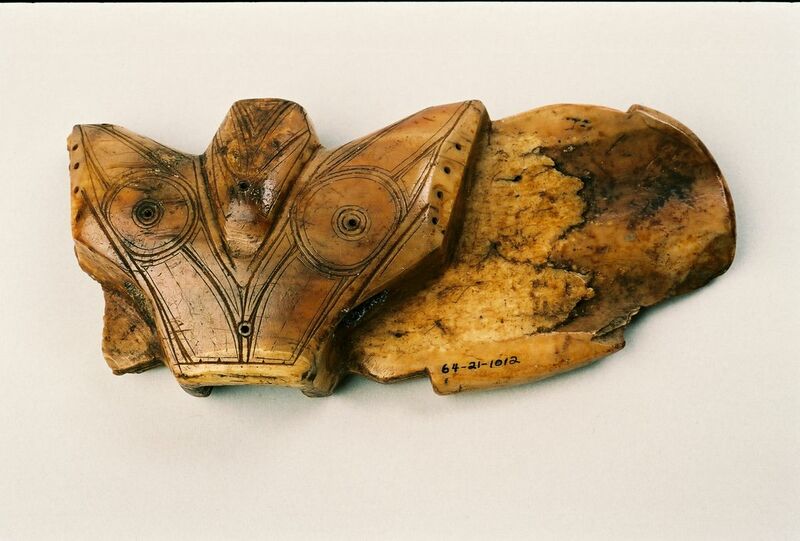 But a paper by Fairbanks-based archaeologist Feng Qu offers new insight on where the art and toolmaking styles employed by the Okvik and Old Bering Sea cultures (100 AD-800 AD) that predated them might have first emerged. Published in 2014 in the peer-reviewed Journal Sibirica, which focuses on Siberian studies, the paper upends long held views on where the cultural practices of prehistoric Eskimo peoples originated. Qu, an associate professor at the University of Alaska, Fairbanks, anthropology department, recently returned from China, where he has been appointed director of the newly established Arctic Studies Center at Liaocheng University in Shandong Province. "Arctic studies are hot in China right now," he said, adding that while Chinese institutions are pursuing scientific aspects of the North, his is the first to focus on culture. China, which is becoming increasingly active in the Arctic, released a position paper earlier this year calling for a "Polar Silk Road," a system of infrastructure and shipping routes in the warming Arctic waters, Qu said. Expanding on this initiative, Qu said at the center in Liaocheng, "we want to study the ancient Polar Silk Road. The cultural connection between China and Alaska." This is where his paper fits in. Qu said that since the 1930s the generally accepted belief has been that Old Bering Sea styles emerged from the Shang (1600-1100 BC) and Western Zhou (1100-771 BC) cultures of China. This connection was first observed by archaeologist Henry Collins in the 1930s. Comparing artistic renderings of animals on artifacts recovered from both the Chinese and Alaska sides of the sea, Collins found numerous similarities, particularly in the depiction of eyes. Collins' view has been widely accepted for about 80 years. But according to Qu, it was limited by the resources available to him at the time. "In the 1930s they only had art to compare," Qu said. "My work is on the economic and technological similarities." While the artistic styles found on harpoons, fish hooks and other implements used by the Old Bering Sea peoples resemble designs found on bronze items from Shang and Western Zhou, Qu notes that the peoples of these areas lived a far different lifestyle than Bering Sea residents. Based on his studies both in China and Alaska, Qu found that in addition to closely comparable carving and artistic designs, the economic and subsistence practices of the early Inuit were much more akin to a neolithic culture that thrived along the lower Yangtze River during the third century B.C. called the Liangzhu. "The old method, they just compared the art designs," Qu said. "But I did more research on the context. I found Liangzhu culture had a lot of water hunting, lake and sea hunting. Shark and whale. We found a lot of remains of canoes. They had very similar water transportation. I also found some wood points very similar to harpoon heads." Qu added, "I hypothesized this Liangzhu culture is the origin of the Eskimo culture." In his paper, Qu devotes considerable attention to the depiction of eyes. Artifacts such as harpoons from the Old Bering Sea culture often feature raised eyes surrounded by concentric rings. 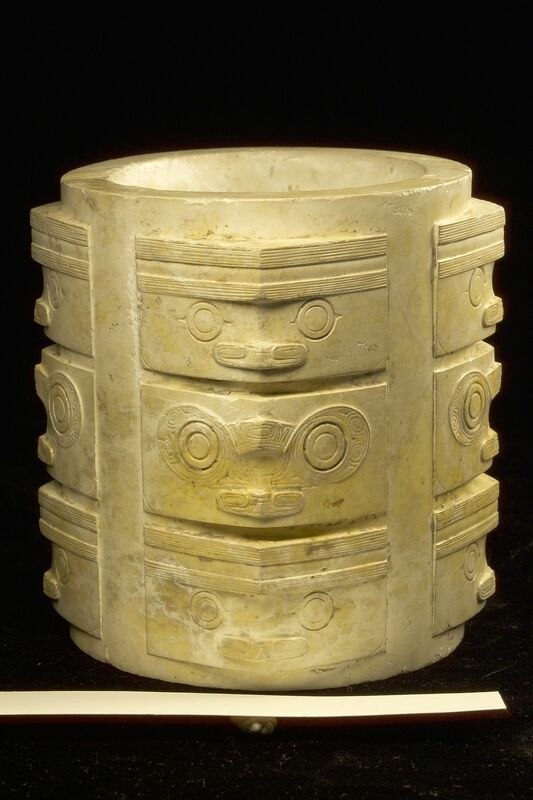 The design is known as the taotie in China and is seen in Shang and Western Zhou artifacts, as noted by Collins. But the carving style and placement of the eyes relative to other features found in early Eskimo tools is stylistically closer to Liangzhu artwork. Bird and semi-human beast motifs also show a remarkable resemblance. Additionally, ivory carvings show a strong similarity to Liangzhu jade work. In one case, Qu compared an ivory harpoon counterweight found at the Kukulik site on St. Lawrence Island with a ritual artifact of unknown use recovered from the Fanshan Neolithic Cemetery in Zhejiang Province, China. Qu explained by email, "Predator eyes on both artifacts are designed with concentric rings with raised interior circles that are seen as staring wide-open eyes." According to Qu, these and other comparisons are strengthened by the broader cultural context of the two societies. While the Shang and Western Zhou dynasties were built on trade and agriculture, the Liangzhu culture shared similar practices with the Old Bering Sea peoples of seafaring, a dependance on sea mammals for food and land hunting. The two cultures also held theriomorphic spiritual beliefs, ascribing deity characteristics to animals. Rather than coming directly from the Shang and Zhou cultures, Qu's findings suggest that the Old Bering Sea and Okvik cultures derived from the Liangzhu. Qu's hypothesis has received considerable attention from specialists in his field. William Fitzhugh, director of the Arctic Studies Center at the Smithsonian Institution, has emerged as a strong supporter. "Although more research connecting this probable prototype is needed," he said in an email, "Qu's paper describing a likely connection with ritual art of the Yangtze Neolithic provides our best guess at the inspiration for the animalistic elements of ritualized art of the ancient Bering Strait and Bering Sea region." Fitzhugh added that other similarities suggest continued contact between southwestern Alaska peoples and parts of China and northeast Asia. Qu, who uses the first name Gilbert in America, was born in Manchuria and did his undergraduate work at China's Jilin University, where he participated in diggings in Shandong Province and the Gobi Desert. Fascinated by ancient shamanism, he earned his master's degree at Leiden University in Holland, studying the connection between art and religion. He then came to the University of Alaska Fairbanks in 2009, earning his Ph.D. in 2013. While his paper on the Liangzhu connection was not part of his degree studies, it was his exposure to both historic Chinese and Inuit cultures and the similarities he kept spotting that prompted him to explore the connection between the two and led him to his conclusions. The Arctic Studies Center at Liaocheng will hopefully provide a venue for pursuing his hypothesis, Qu said. "My article is just a small part, but in the future it might be a seed for further studies."